Paleo No Bake Pumpkin Coconut Bars – Low Carb Holiday Dessert! 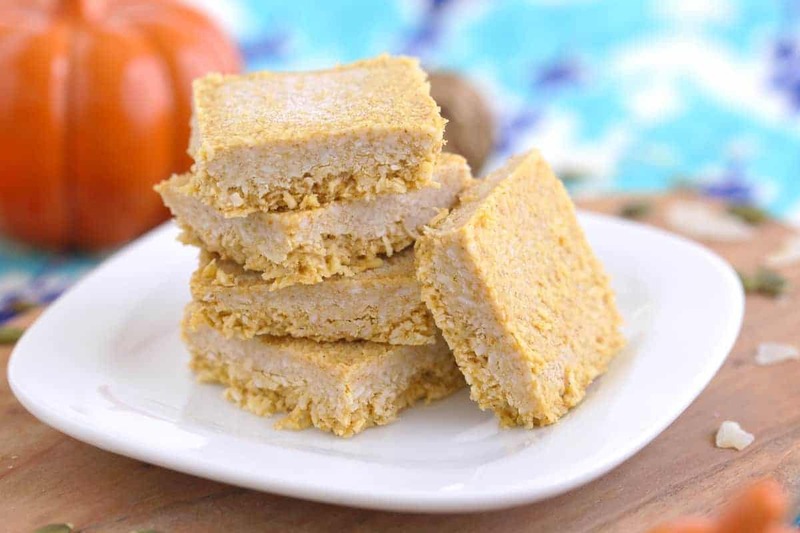 These no bake pumpkin coconut bars are sweet, satisfying squares filled with autumn goodness! Between the pumpkin puree and comforting fall-time spices, they’ve got tons of holiday flavor. Plus, the added sweetness and low carb indulgence of coconut! Best of all, these healthy holiday treats involve NO baking at all. A great, easy recipe to help you use any leftover canned pumpkin, and a cleaner treat to enjoy in this holiday season! But, beware…these goodies are addictive and hard to put down. Personally, I store my no bake pumpkin coconut bars in the freezer, so I have to thaw one out when I want to indulge! In this entire no bake pumpkin coconut bars recipe, there’s only 1 tablespoon of maple syrup. And, that’s then divided among 8 servings once cut into bars! So, you’re left with just 2g of sugar per bar, yet they’re still perfectly sweet. Since the pumpkin and coconut shreds have plenty of natural sweetness, you don’t need to add much more! But, if you wanted your no bake pumpkin coconut bars to be truly low carb and totally sugar free, you can use a low carb liquid sweetener instead. When I make low carb desserts, I opt for a low carb fiber syrup as my sticky sweetener. And, it’ll work just as well as maple syrup in this recipe. Made with fiber syrup instead, each of these no bake pumpkin coconut bars has only 1g of sugar and 2g of net carbs! A crave-ably sweet, clean, and fuel-filled holiday dessert that you can feel good about eating. The ultimate holiday gift that you can give—to yourself! 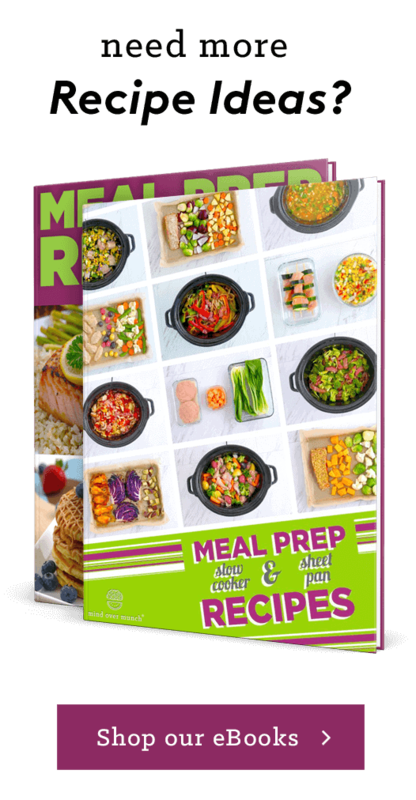 Check out my 150+ Healthy Holiday Recipes eBook for tons more recipes! Press dough into a loaf pan lined with foil or parchment. Freeze 2-3 hours, until firm. 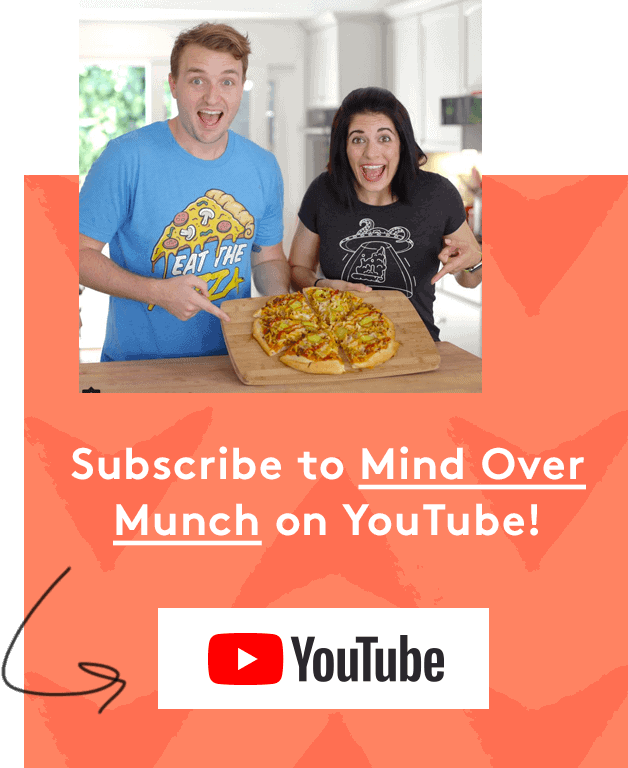 Cut into squares or bars and devour! Store in the fridge or freeze for later. Yields 8 no bake pumpkin coconut bars (depending on size of cut). *Nutrition below provided for no bake pumpkin coconut bars made with maple syrup; 4g net carbs per bar.